Stefan Esser, who goes by the name of i0n1c, has managed to jailbreak iOS 8.4. He posted a video proof of it, showing his iPhone 6 Plus running jailbroken iOS 8.4 beta 1. Jailbreakers gonna jailbreak, and that’s exactly what the engineers at Apple are trying to avoid happening with each and every new release of iOS. When the company pushed iOS 8.3 out to the public it plugged even more exploits used by TaiG and unfortunately that meant that jailbreaking just wasn’t possible if you wanted to use the latest, and most stable version of Apple’s iPhone and iPad software. 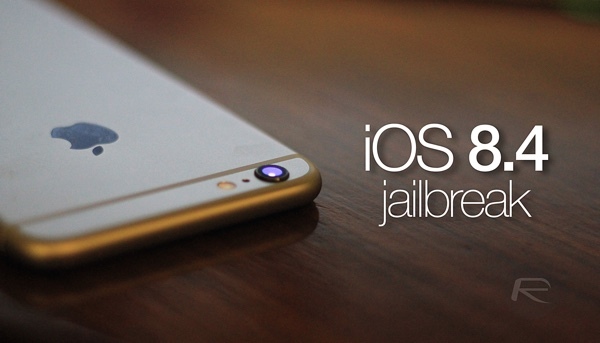 But these things don’t tend to stand still, and today jailbreak veteran i0n1c has released a proof of concept video which not only shows a jailbroken iPhone, but one that is actually running Apple’s latest beta release – iOS 8.4 beta 1. According to the man himself, “vulnerability itself is however not new to iOS. Instead it is inside the code virtually forever,” which is interesting news indeed, especially if you follow the jailbreak scene as closely as we know some of you do. With this video i0n1c also tries to temper expectations by pointing out that there are still kinks to be worked out, but we are nevertheless closer to a jailbreak for the post-iOS 8.3 world than we were this morning. When Apple released iOS 8.3 it came packed with security fixes, with the count reaching almost forty. Apple takes iOS security seriously and while at times it has seemed to be relaxing its stance on jailbreaking, there is little doubt that the team inside Cupertino doesn’t like anyone messing with its operating system. That was the case when Scott Forstall was in charge, and it is most definitely the case with Jony Ive at the helm. There is currently no word on when this proof of concept will turn into something a little more concrete, but for the sake of jailbreak community, we hope i0n1c makes this one a reality and release it to public when ready. As always, whenever there is more update on the state of jailbreak, we’ll post it here on RP as soon as possible. Stay tuned! Lets just hope he does not give the exploits to Apple, and hopefully taig or pp Will beat him to IT. I’m working on a iPhone 3GS 32GB. Do you think it is good to jailbreak it or it will turn the phone too slow? Not much of a news honestly. i0n1c is known for jailbreaking early on a release of a new iOS release and never make the jailbreak public as it typically uses developer account privileges. So yeah great work i0n1c but we are pretty much still at step zero of getting a new jailbreak up for the public. Seems to me that i0n1c only jailbreaks betas these days and if you think about it, of course a beta can be jailbroken; it’s a beta! When it gets to the final version, though, he disappears. What firmware are you running? Is it carrier unlocked? You can jailbreak it and use speed tweaks to get it running smooth (new battery recommended). You can even use a winterboard theme to make it looks like ios7 or ios8. How many more updates will Apple push onto users to patch the jailbreaks? 3gs? are you joking? Time to sell it bud. That is apiece of garbage. what do you mean ‘give’? Better what..? battery don’t think so and yes camera is better on the s6 but I like the Natural colours of the iPhones camera. And don’t say better phone as I don’t get into that stuff I have a note 4 as well. S6 = go play with touch wiz. Esser always does this, he just teases, hopefully this tease will motivate the Pangu and Taig teams to work harder in producing a Real Untethered JB to the public and rub it in Essers face. This is just another throw back for the jail-breaking community… Ic0n1c (Stefan Esser) Has done this years back with the release of ios 4.3.5 which in fact was just a public teaser like in this article. Apple could save time and money if they were to go open source. Ic0n1c should name his Untether CyberElevat0r V 2… Haa what a joke. RedmondPie Keep us updated!! Esser is a modern day Thomas Edison: A genuis douch-bag! attiphoneunlocking. [com], it’s among the oldest unlocking site for AT&T. If it is advisable to be having problems ՍΝᏞΟᏟΚing AT&T phones, go have a hunt at just google atttiphoneuunloockiing, it’s without doubt the most trustworthy site for սոⅼοсking AT&T phones, we are able to սոⅼοсking the new 6S and 6C as well.